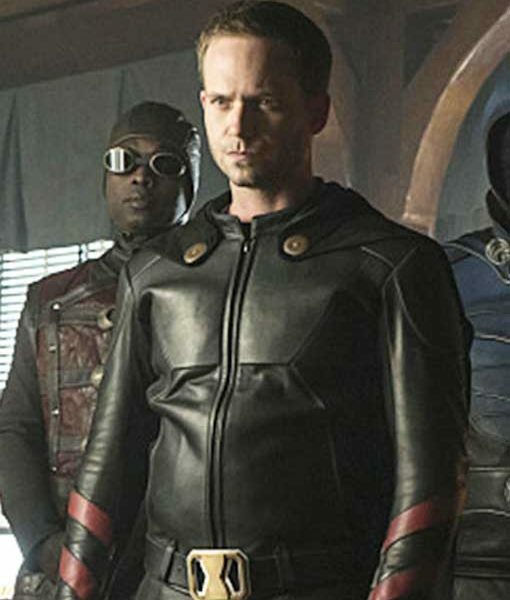 Rex Taylor Leather Jacket is the gimmick from the series of Legends Of Tomorrow. It represents the character of Rex Taylor who has worn this attire in the series. Legends Of Tomorrow Rex Taylor Leather Jacket has been crafted in real leather, including inner viscose lining. This outerwear covers stand collar, shoulder epaulets with studs, front zipper fastening, chest buff design and long sleeves with red strips. This apparel is black in color. Send me a notification for each new answer. Copyright 2019 © USA Jacket. You are only 1 step away from purchasing this awesome merch!